The goal of the National Strategic Plan to Stop TB 2006-2010 and the Western Pacific Regional Strategic Plan 2006-2010, is to reduce the TB prevalence and mortality by half by 2010 (relative to 2000), contributing to the attainment of the Millenium Development Goal (MDG) come 2015. Among the objectives identified in these plans were: to improve detection of all TB cases, adapt DOTS to respond to high-risk population and ensure equitable access to care of international standards for all TB patients. This would mean reaching out to all people with TB; adults and children, infectious and non-infectious, with or without HIV and with or without drug-resistant TB. To address TB in children, DOH created the Task Force (TF) on Childhood TB in 1998 by virtue of Department Order (DO) 248-H s. 1998 as amended by DO 66-D s. 2001. This TF was composed of experts both from the public and private sector. In 2002, DOTCh (DOT in Children), was piloted in three areas. Two years later, the DOH through TF, released the 1st guidelines for TB in children through Administrative Order (AO) 178 s. 2004 which paved the way for the expansion of the program to 16 cities (1 city per region) nationwide. 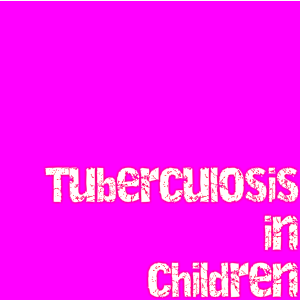 In 2006, WHO issued the Guidance for National Tuberculosis Programmes on the Management of TB in Children. Because of this, the DOH deemed it necessary to reconvene the TF and revise the current national guidelines in accordance with that of the WHO and for consistency with the 2005 Manual of Procedure (MOP) for the National Tuberculosis Control Program (NTP) before embarking on a nationwide implementation of the Childhood TB Program. The objectives of these guidelines are: to provide a standard policy for casefinding; treatment of children with TB; contact tracing of children at risk of developing TB for preventive therapy; and to include all childhood TB cases in the routine NTP recording and reporting activities using the DOTS strategy. These guidelines shall apply to all health facilities, agencies and organizations that will implement Tuberculosis Control Program among children 0-14 years old. Close contact - is defined as a person living in the same household as or in frequent contact with a source case. Isoniazid Preventive Therapy (IPT) - taking a course of isoniazid treatment to individuals who have not been infected in order to prevent development of TB disease. Source case - a case of pulmonary TB (usually sputum smear-positive) which results in infection or disease among contacts. TB Diagnostic Committee (TBDC) - it is a committee established at the province, city or district level that will review the sputum smear-negatives with chest X-ray suggestive of pulmonary TB. It is composed of the NTP medical/nurse coordinators, radiologist and a clinician (internist or pulmonologist). All children 0-14 years old who come to the health facility with signs and symptoms of TB and/or those who are in close contact with a known TB case (usually an adult) shall be screened for TB. The diagnosis of TB in children depends on careful and thorough history and clinical examination and relevant investigations, e.g. Tuberculin Skin Testing (TST), Direct Sputum Smear Microscopy (DSSM) and Chest X-ray (CXR). A trial of treatment with anti-TB medicines shall not be used as a method of diagnosing TB in children. When a child is diagnosed with TB, an effort should be made to detect and cure the source case. Directly Observed Treatment (DOT) shall be followed for all children undergoing therapy. To prevent severe types of TB in children and in accordance with the policies and procedures of the Expanded Program on Immunization (EPI), BCG vaccination shall be given to all infants. However, revaccination of BCG is not recommended. The child sought consultation, was screened and was found to have signs and symptoms of TB. The child was a close contact of a TB case. The Mantoux method of TST is recommended using 2 TU of tuberculin PPD RT23 or 5 TU of PPD-S if the former is not available. A positive TST is an area of induration of the skin with diameter of 10mm or more read between 48 and 72 hours of injection of the tuberculin solution (whether or not they have received BCG vaccination). CXR shall not be used alone in the diagnosis of childhood pulmonary TB unless the finding is miliary tuberculosis. Majority of children with pulmonary TB have CXR changes suggestive of TB. The commonest picture is that of persistent opacification in the lung together with enlarged hilar or subcarinal lymph glands. Suspected Extrapulmonary TB are usually diagnosed from the clinical picture and confirmed by histology or other special investigations. Serological tests, nucleic acid amplification (e.g. polymerase chain reaction), computerized chest tomography and bronchoscopy can be used but are not currently recommended for routine diagnosis of TB in children. Caseholding mechanism shall follow AO 178 while treatment regimen for TB disease and corresponding drug dosages shall follow the 2006 WHO guidelines. Fixed-dose combinations of drugs (FDC) shall be used whenever possible. However, single drug formulations can still be used. Children with severe forms of TB shall be hospitalized initially for intensive management where possible. For extrapulmonary and most of childhood TB cases, response to treatment shall be assessed clinically. Follow-up CXRs are not routinely required. The definition of the treatment outcomes as stated in AO 178 and the 2006 WHO guidelines shall be followed. Contact screening and management as described in the 2006 WHO guidelines shall be adopted under these revised guidelines. Management of special circumstances such as baby born to a mother of infectious TB and contacts of confirmed drug-resistant TB shall be accordingly addressed. The roles and responsibilities of the different agencies, health workers and other partners implementing this program shall be in accordance with the 2005 MOP for the NTP. Training modules are also being updated to conform to this revised Administrative Order. Provisions from previous issuances that are inconsistent or contrary to the provisions of this order are hereby rescinded and modified accordingly. What are the top 10 Leading Causes of Mortality in the Philippines? Best Antivirus and it's free!